One simple solution, infinite possibilities. 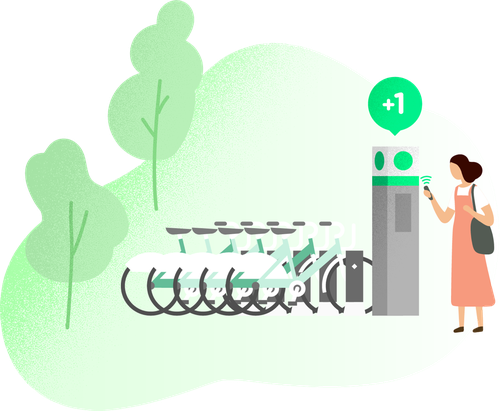 Our secure, end-to-end payment processing platform adapts to your needs, giving transit and mobility operators, device partners, and passengers a smoother ride. 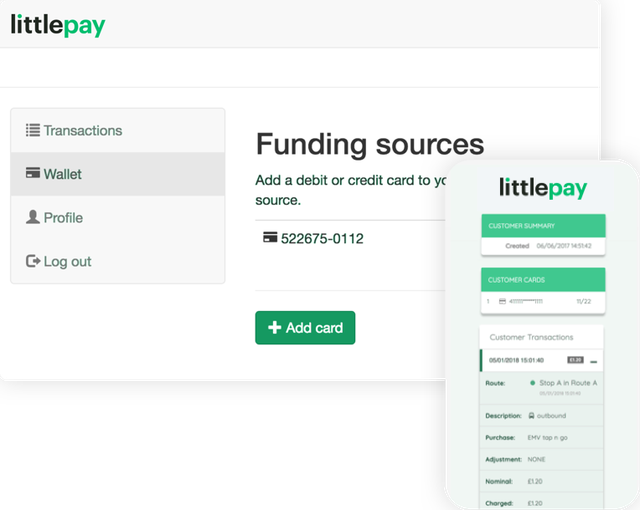 Whether you're just getting started with contactless EMV payments or looking to build your comprehensive payment ecosystem, it all starts with Littlepay Core. 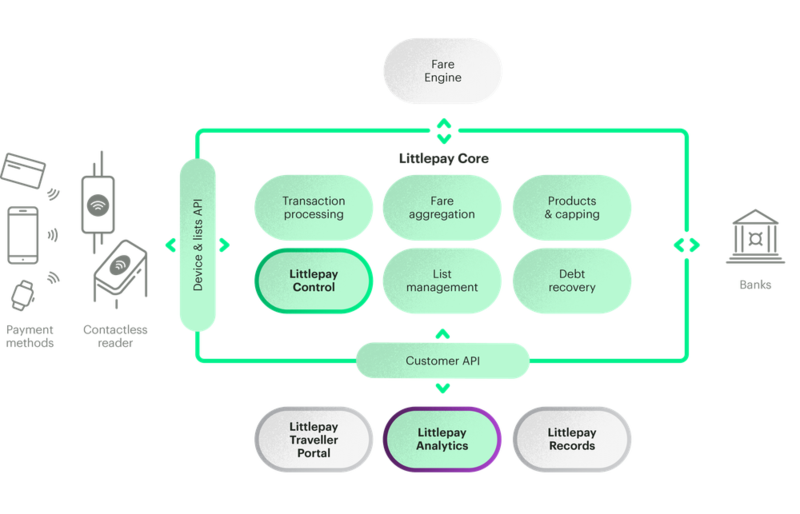 Littlepay Core seamlessly processes transit transactions, while intelligently managing risk and tracking performance. Our solution integrates with your existing contactless readers and supported acquirers. Not sure what you need? Talk to us. Together, we can build your ideal solution. 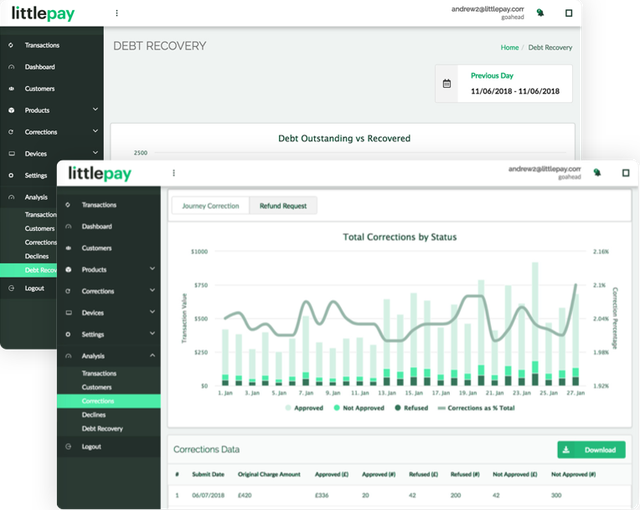 Littlepay's core solution pricing is based on simple and competitive per-transaction fees. Easy to understand. No upfront costs. Quick onboarding. Get in touch for a quote and to learn about our risk-free trial. Littlepay Core is just the beginning. 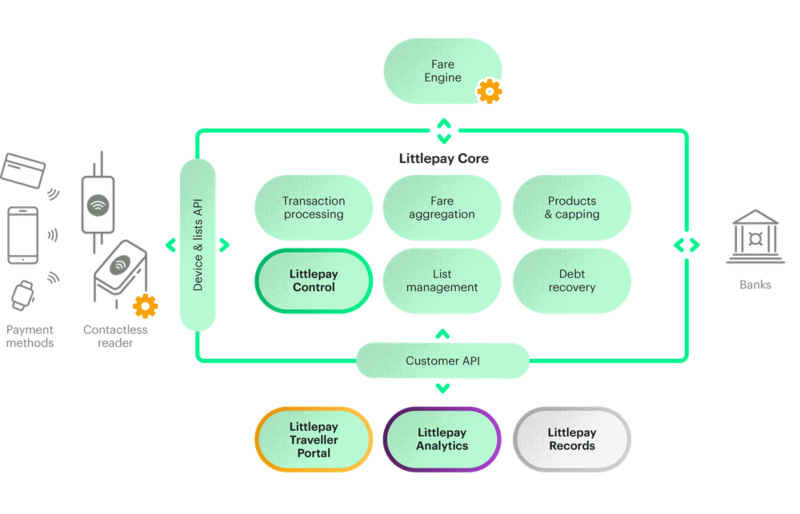 Here are a few of the ways you can use the full Littlepay technology stack to build your own custom solution. 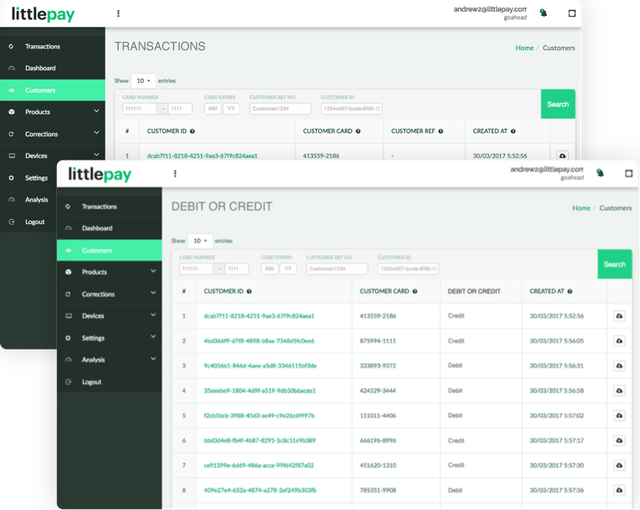 Our Littlepay Control portal provides a single view of your customer transactions, across all your channels and acquirers. Manage product rules (e.g., aggregation and capping), perform customer service (e.g., refunds), view operational reports, and more. Analyse performance trends in your transit services, whether sales, refunds, declines or debts. Gain insight on repeat purchase behaviour by zone, route, product, or segment to make more informed decisions about asset efficiency, such as route rationalisation, fleet optimisation and more. Give your travellers the power to easily manage their accounts by connecting your existing customer portals to our APIs, or deploying our ready-to-use white labeled portals. Our solution is adaptable and flexible, and will cater to your preferences. Need to perform your own custom analysis? Create your own business intelligence reports across all your transit services by accessing our enterprise-ready daily tap and transaction data feeds. This is an example of a basic integration, utilising currently supported devices and acquirers. 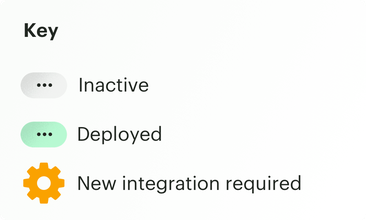 This is an example of a moderate integration, working with at least a new device vendor or fare engine, in order to go live. This is an example of a comprehensive integration, working with a new device vendor, fare engine, acquirer, and your own custom developed traveller portal. 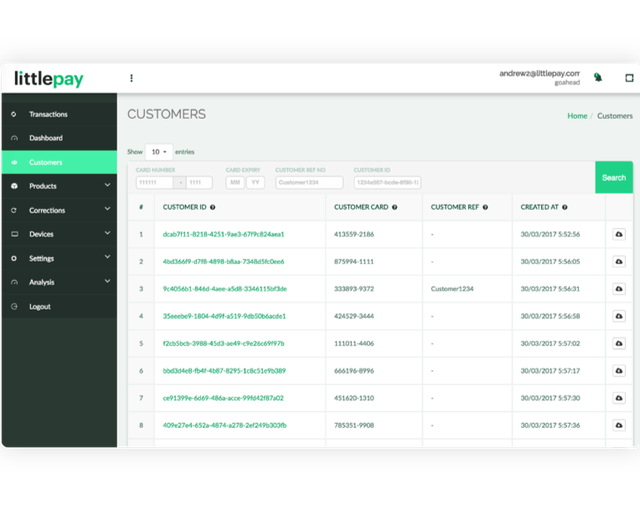 There's a Littlepay solution for every system integration challenge.